You can buy shoe shelves of various sizes. Find one perfect for your closet and your shoe needs. 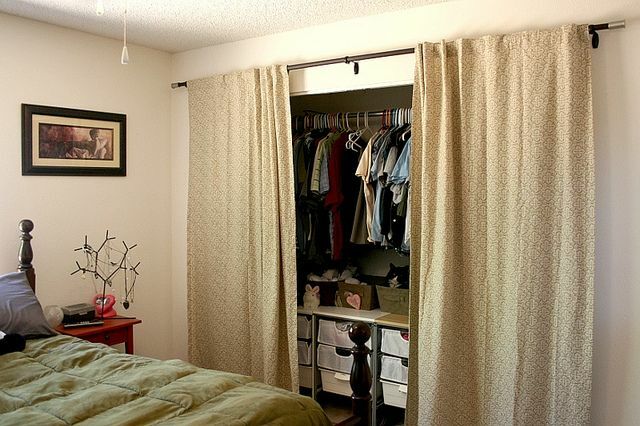 If you are short on space, curtains may be a better option than closet doors. Coordinate your closet by color so everything is easy to find and match. 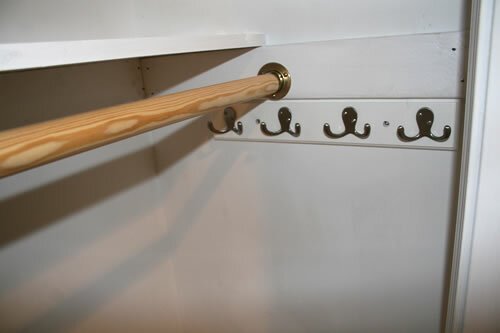 Hang robes, coats, purses, or accessories on hooks. If you don’t have a closet, it’s extra hard to organize those closet items. Try creating storage in another room, like so. Your most used items should go at eye-level so you can easily find them. For extra closet space, store those items you don’t use much in drawers under your bed. Here are some great storage bed options. Don’t keep these great ideas to yourself. Share this page! Your friends will thank you.